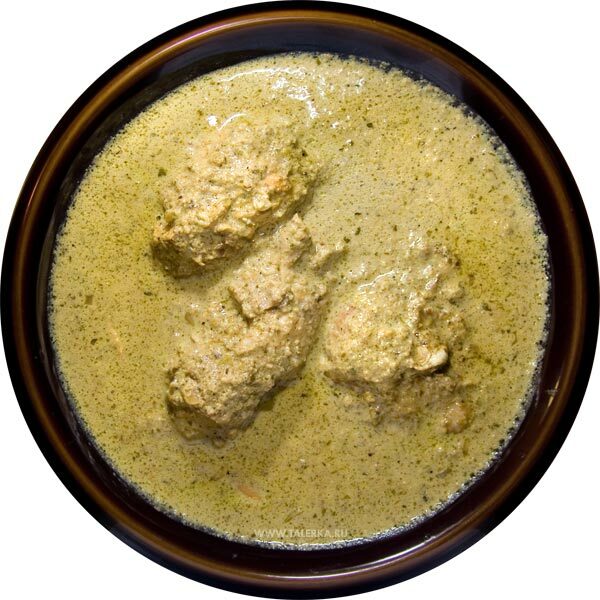 Satsivi (Georgian: საცივი) is a Georgian sauce made of walnuts and served cold either as a dipping sauce for bread, or sauce for boiled or fried game or fish. Traditionally, satsivi is made of walnuts, water, garlic, combination of dried herbs, vinegar, cayenne pepper, and salt to taste. Left: Chicken in a walnut sauce (Satsivi). Boiled turkey or chicken pieces submerged in satsivi is one of staples of winter holiday feasts.